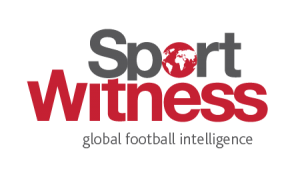 The German sport media will link Liverpool to any big Bundesliga related transfer remotely conceivable. For so long it was Christian Pulisic, before he committed to Chelsea, and since then the claims have continued. 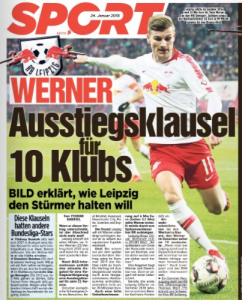 Just over two weeks ago, SportBild said Liverpool is the ‘perfect’ destination for Timo Werner, a player who also interests Bayern Munich. Last week, they picked up weak claims of interest in James Rodriguez, didn’t question the veracity, and then gave Liverpool a 20% chance of signing the player. Of course Bayern Munich were out ahead. This week’s edition of SportBild has another potential Liverpool and Bayern transfer tussle, saying there’s ‘poker’ going on over Callum Hudson-Odoi. A day after that has been released, there’s another Liverpool and Bayern tangled claim. This time about Werner again. The striker is in talks with RB Leipzig over an extension, and Bild report there’ll be a clause allowing him to leave for one of ten clubs for a fixed amount in summer 2019. That would ‘probably not be less than €70m’. Bild say Liverpool are interested. Unsurprisingly, they also say a move to Bayern Munich is ‘most likely’.